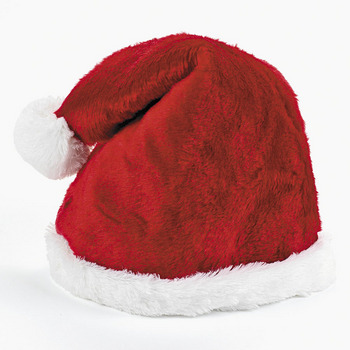 Premium Santa hat. Double layer faux fur fabric with plush trim & pom-pom. One size fits most adults - measures about 21" around base.